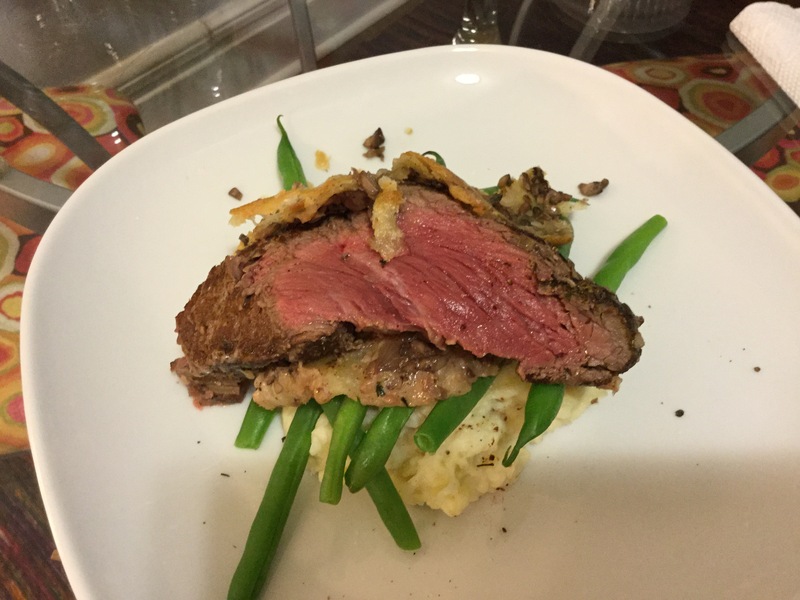 I love spending my weekends in the kitchen cooking, and this weekend I did exactly that! Our day started at Rowe Farms in Leslieville with a very different menu in mind. We were looking for spring lamb, only to find out we were a few days early. Anyone who is looking for lamb should place your orders now. Our winter was so cold that the lambs didn’t gain a lot of weight and there won’t be as many in the early season. After much discussion between JJ and me (at the meat counter) we decided on Beef Wellington. Now, I have made Beef Wellington before but I have always used packaged puff pastry. This time I decided to make the puff pastry. The end result wasn’t as pretty as I would have liked but it tasted delicious. 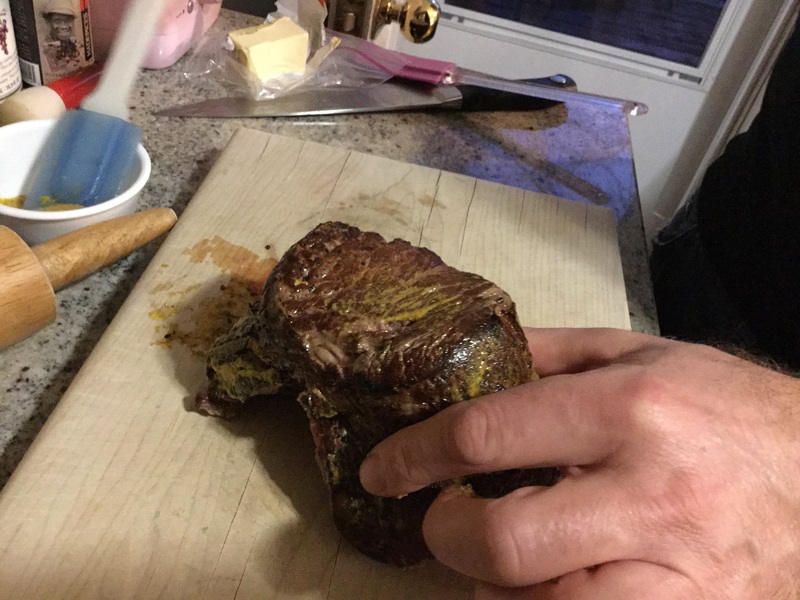 Our whole adventure of cooking the Beef Wellington took most of our afternoon and included, a bottle of wine (or two), a dance party and a game of charades. I hope you have as much fun making yours! 1) Sift flour n salt together and place in mixer. 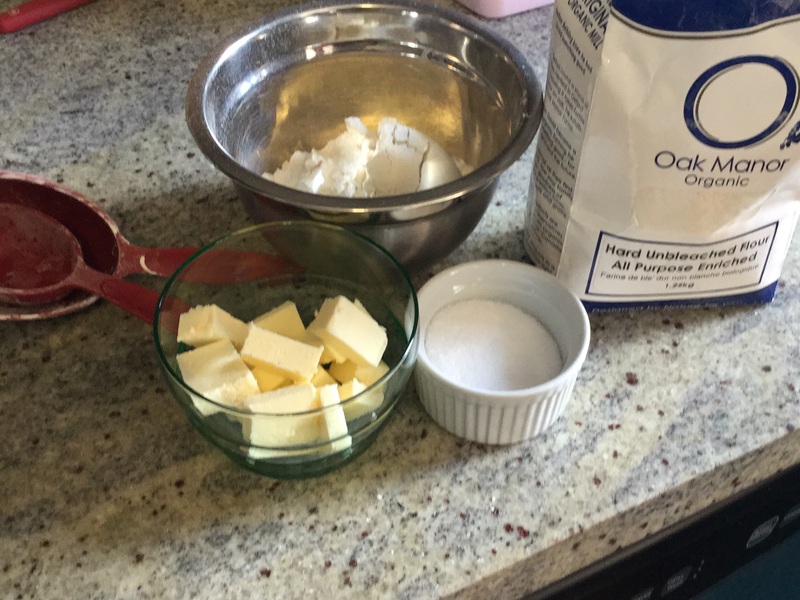 2) Add 3/4 of the butter to flour, turn blender on medium speed and blend and add water until the mixture resembles a sandy texture. 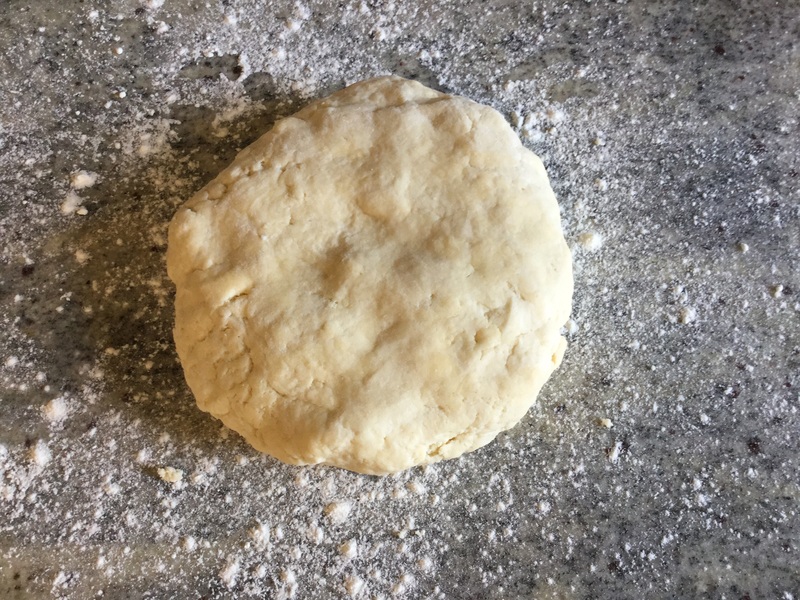 3) Form dough into disk and place in fridge for 1 hour. 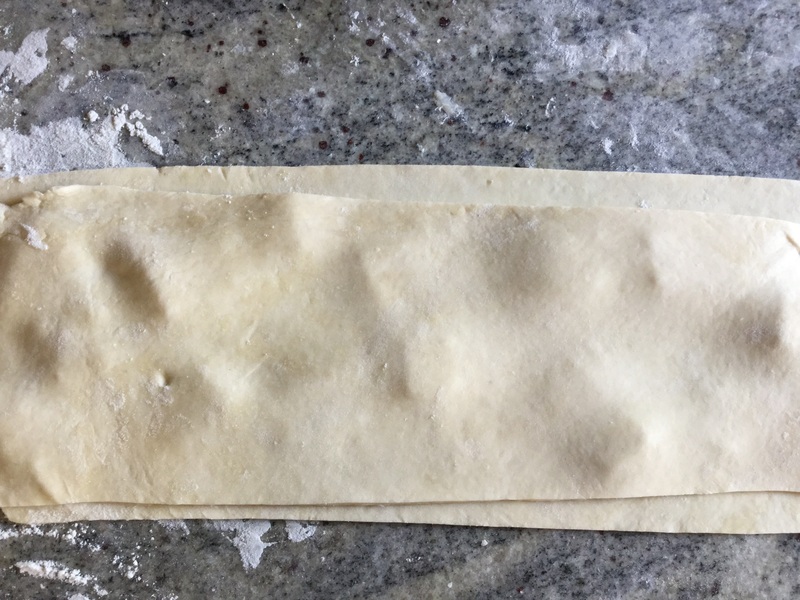 4) Remove dough from freezer, roll out and cut into two strips. Lay butter in between the two strips (form into a butter sandwich) then gently roll and place back in fridge for another hour. 5) While dough is cooling finely chop shallots and mushrooms including stems. 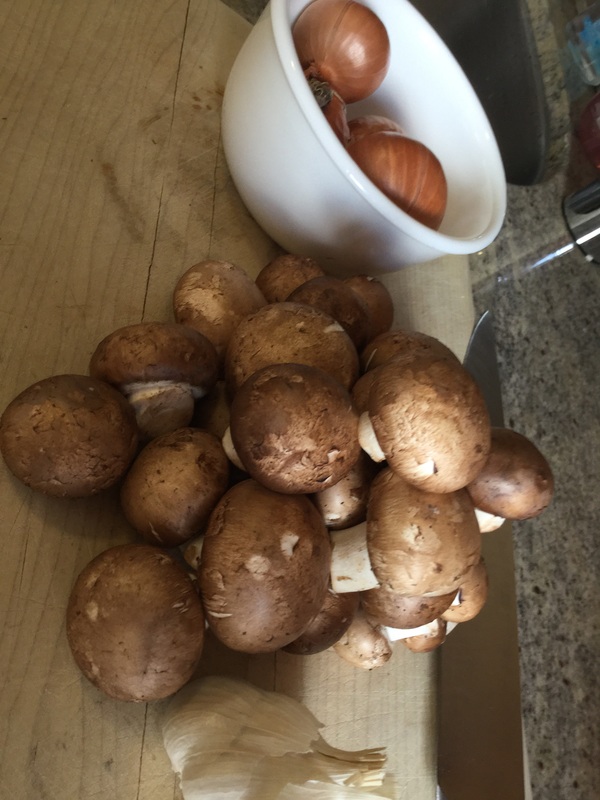 6) Sauté mushroom mixture for 5 min then add 1/4 cup red wine. Reduce mixture to a paste. 7) Season meat with salt & pepper then brown all sides. 8) Mix together mustard and thyme and spread on browned meat. 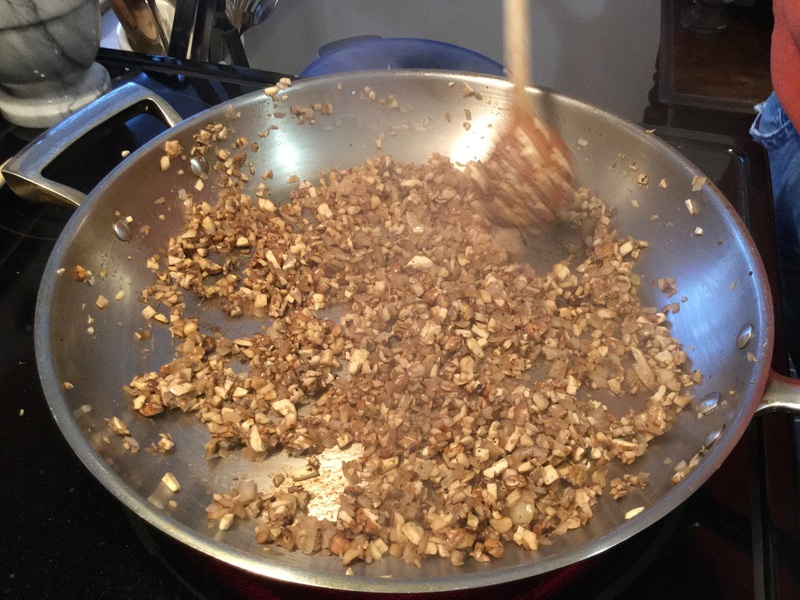 9) Spread mushroom paste onto meat then roll the meat into pastry. 10) Score pastry on top and place in preheated 350 degree oven for 25min. 11) If the top isn’t brown place under boiler – watch! it will brown fast! I’m planning on making this party dish again! Stay tuned and check in again soon to see my puff pastry perfectly done! Less dancing next time and maybe a bit more wine.